Monarch has announced the addition of three exciting new destinations to its network. Flights to Stockholm, Porto and Zagreb are all available to book from midday Thursday 15 September at monarch.co.uk for travel from 28 April 2017. To support the new routes an additional aircraft will be based at Manchester airport. To celebrate the launch of these new routes prices will start at just £33*. 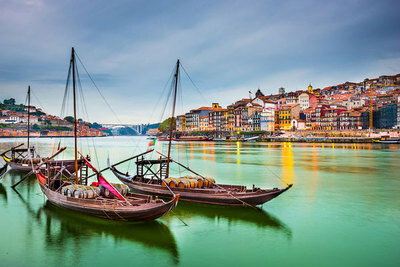 The city of Porto is a year round popular destination and will be the fourth Portuguese destination on the Monarch network. Porto joins Lisbon, which was introduced last summer, Faro and Funchal. Renowned for its port wine and architecture, the coastal city of Porto sits in the northwest of the country. The Swedish capital of Stockholm is a vibrant city made up of 14 islands all walkable thanks to the extensive network of bridges the city has to offer. Stockholm is a great city for exploring - with a variety or shops, cafes and museums there is something for everyone. Monarch adds another capital city to its network with Zagreb. Zagreb has been growing in popularity over the last few years and with its gothic themes and colourful architecture, the Croatian city makes an ideal city break. Marjan Schoeke, Monarch's Head of Network Development, comments: “We are delighted to be announcing these three new exciting destinations to the Monarch network. “Flights to Stockholm, Zagreb and Porto will operate all year round and we are sure that all three destinations will be a popular choice with our customers.